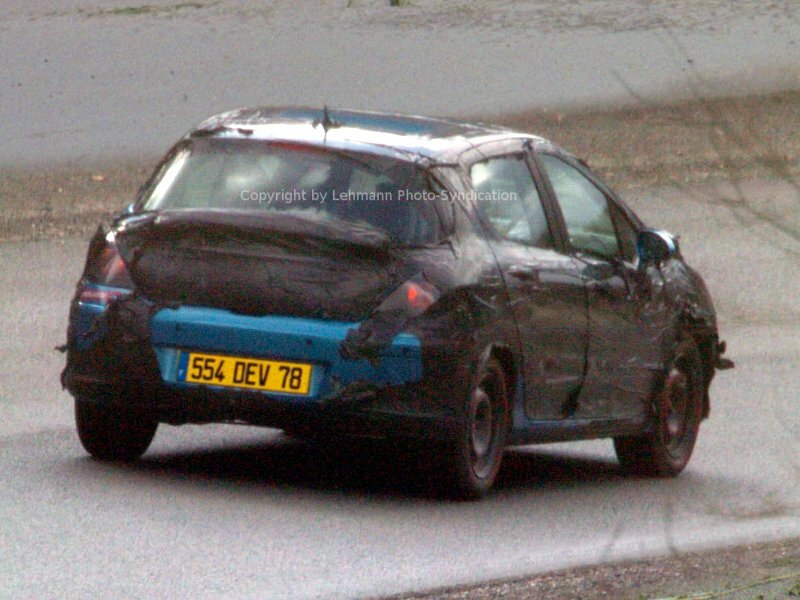 This is the first ever glimpse of Peugeot's 307 replacement. The disguised 407 is infact a 4 door saloon. That was caught in Scandinavia cold-weather testing. 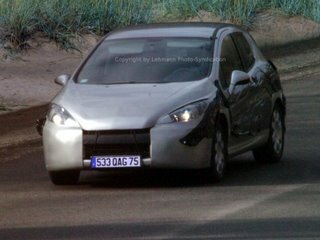 The other two pictures show a hatchback version of the 308 undergoing testing in France. In summer 2005 the French best seller Peugeot 307 underwent a restyling. Now the French car maker is about to develop an all new replacement for the 307, dubbed 308. Formerly the 308 was scheduled for release in 2008, but now Peugeot has decided to show the new model at the 2007 Frankfurt Motor show already. The fastback version will be the first one to come on the market as four- and two door. Its overall length is said to grow by about 4 cm to 4.25 meters while its height is going to be slightly reduced. Just like Volkswagen with the “Cross-Golf”, PSA is also hiding an SUV variant of the 308 up their sleeve, however, this one without four wheel drive. A convertible-coupe and a wagon version are expected to follow about a year later. Power will come from a 2.2 four-cylinder turbo diesel engine delivering 170 HP as well as from the new 1.6 litre fuel injected engine generation delivering between 75 and 170 HP. It was developed in cooperation with BMW. A particularly sporty RC version producing 210 HP is to follow some time later. First two photos are genuine prototype photos. Only the background and the license plates were altered by computer, not the car itself. The third photo is a computer image giving an artist’s impression of the new model to come. And photos four and five are of a prototype mule in recent cold weather testing in Scandinavia.